The seventh-generation Lexus ES arrives this summer. This is the seventh-generation Lexus ES. When Toyota launched its Lexus brand in 1989, it had two products to show for it: midsize ES and full-size LS sedans. 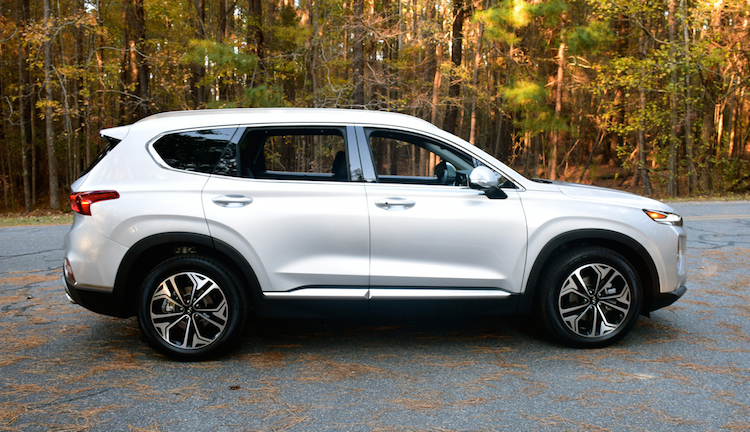 Both models remain an important part of this luxury marque’s portfolio, although newer models such as the RX crossover are far more popular. This year, the seventh-generation Lexus ES debuts, an all-new model that is also the most desirable one yet. 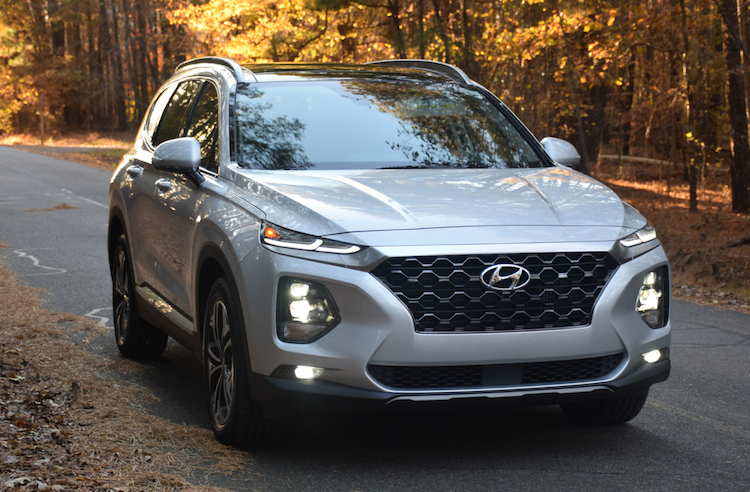 It continues with a familiar formula: front-wheel drive with a V6 engine, but makes big advances in exterior styling, cabin design, technologies and safety. In a market where luxury sedan sales are steadily falling, Lexus believes the new ES is the right formula for retaining current customers and for winning new ones. To that end, the 2019 Lexus ES will find a greater audience, including in new markets, such as China. The Chinese market is the largest in the world and is the one where manufacturers enjoy strong demand. 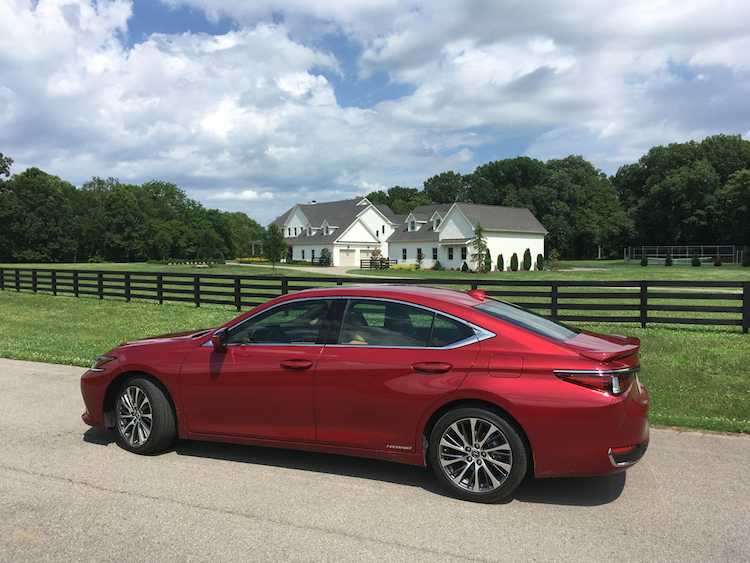 As before, a Kentucky plant supplies the gas-powered ES. The hybrid comes to us from Japan. 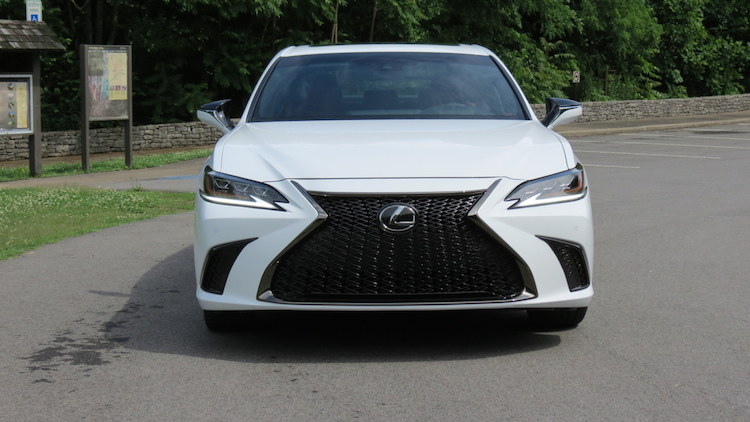 There are a few things about the 2019 Lexus ES we still do not know, including the price. At a Nashville media event, Lexus threw out $39,000 as a likely starting point, which would be just $50 more than the current model. The sweet spot for today’s entry-level luxury cars is just below $40,000 and Lexus has several models in that price range. New this year is an F Sport model, what brings in the decor of a sporty model and combines that with a sport suspension system. In Lexus parlance, F Sport offers the look and some of the feel of a performance model, including enhanced driving dynamics. For those vehicles with an “F” only naming convention, Lexus enhances powertrain performance in addition to the driving dynamics. An even sportier front fascia marks the 2019 ES. We do not expect an ES F anytime soon as that would mean changes to the drivetrain (including all-wheel drive) to support the enhanced powertrain (engine) performance. At the Nashville event, several journalists raised the possibility of an all-wheel-drive ES. As expected, Lexus said that they were “studying” that option. The F Sport joins the standard ES and the ES Hybrid to round out the Lexus ES line. All three share a new Lexus platform that is also derived from a new Toyota platform. Already, the Toyota platform has yielded a pair of all-new models: the midsize 2018 Camry and the large 2019 Avalon sedans. By the way, Lexus says that the Avalon and ES are more like cousins, than they are twins. But the two models share the same wheelbase and overall length. Moreover, the Lexus is slightly wider and taller than the Toyota, although those two differences are hardly noticeable. Manufacturers love to stress a vehicle’s styling when presenting a new product. After all, if there is no emotional connection to the vehicle at hand, you are not likely to look further. Lexus has boldy plotted a course for itself these past several years by upgrading styling. This means they have included more cut lines, body sculpting and deeper embrasures than before. The canvas is definitely sporty with some additional definition given to the hood, roofline and the rear deck. The look, especially with the front fascia’s spindle grille, has achieved varying levels of success. For instance, on the now retired CT hybrid, the design did not execute well. Indeed, it was an overwrought composition that seemed off balance. On the other hand, the design looks amazing on the LC sports car. My ES drive partner, Jonathan Lopez of TopSpeed.com, shared those sentiments. Further, we agreed that the new ES executes as designed and represents an improvement on the previous look. The hybrid model is virtually indistinguishable from the standard ES. We find ourselves accustomed to hearing manufacturer claims that a certain model seats five. For instance, you may find seat belts for five in the tiniest subcompact as well as in large sedans. Few people really think you can fit five, at least in comfort, in all but the largest models. Happily, the Lexus ES makes good on that claim. Helping matters, of course, is the sedan’s front-wheel-drive layout. 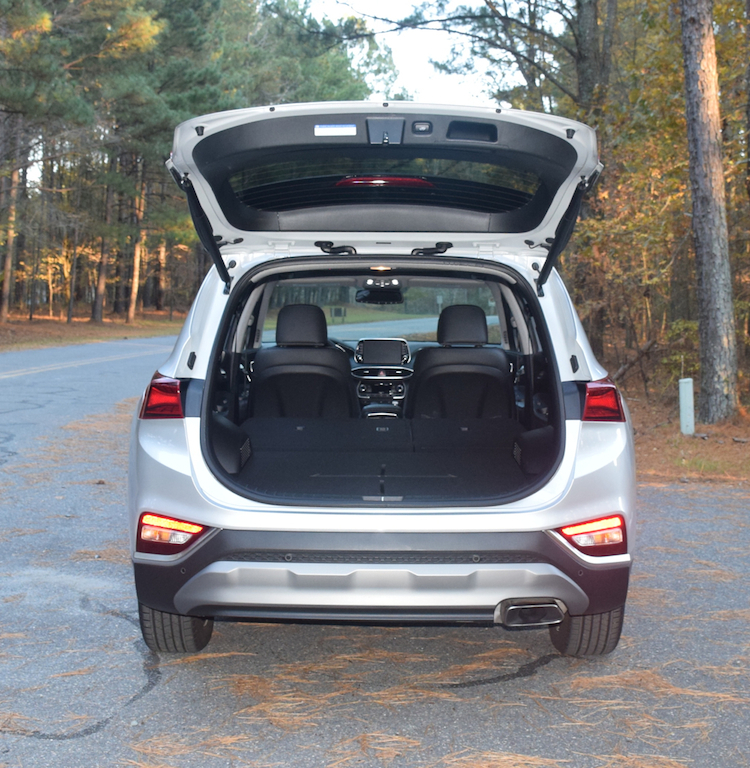 This means the drive hump is essentially gone, with only a reinforcing bar intruding slightly into the cabin. 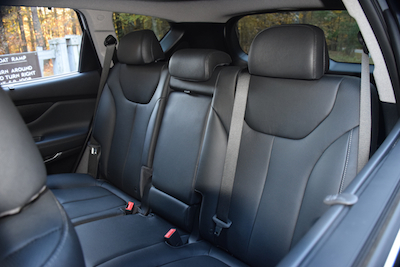 This means there is no penalty box in the rear seat — three adults can sit in comfort with sufficient head, shoulder, hip and legroom. Yes, passenger space is excellent, something to keep in mind when considering this vehicle. As for the rest of the interior, you will find high-quality materials throughout. Imitation and real leather, aluminum trim and available wood inlays blend to form a beautiful tapestry. Even the shape and look of the speakers complement the experience. 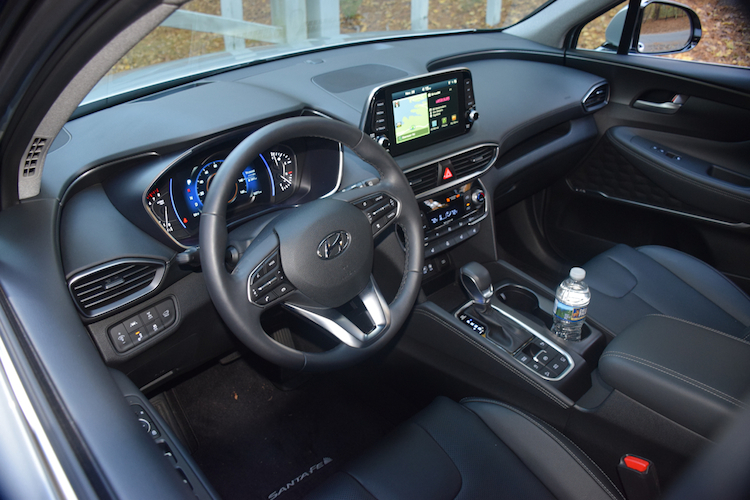 The front seats are plush and very supportive, and come with power-adjusted controls. F Sport models have more pronounced bolstering too. The entire instrument panel layout is clean, elegant and easy to decipher. The analog clock returns (to the chagrin of some who feel that it is an unnecessary throwback to another era — but I like it), while the instrument panel has a digitized layout. Lexus makes a point to elevate the senses with its models in the way that alerts the senses. An optional bamboo wood steering wheel dresses the cabin. Lexus offers a familiar formula with the 2019 ES, regardless of the model chosen. 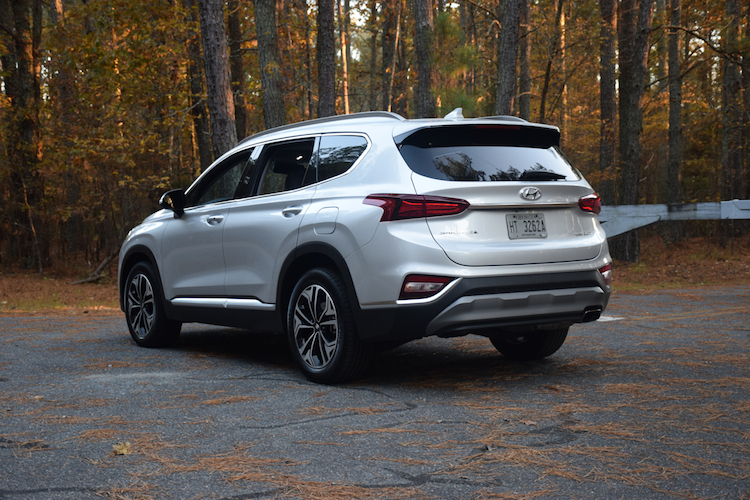 All gas-powered models have a 3.5-liter V6 engine, while the hybrid continues with its 2.5-liter inline-four. The V6 is new and makes 302 horsepower and 267 pound-feet of torque. Compare that with the previous engine, which delivers 268 horsepower and 248 pound-feet of torque. Importantly, the 2019 ES has two additional transmission cogs, now delivering eight. The ES Hybrid makes 176 horsepower and 163 pound-feet of torque. Under full throttle, the electric battery joins in, which effectively boosts performance to 215 horsepower. Power travels to the front wheels by means of an electronically controlled continuously variable transmission. Slip behind the wheel of the V6 ES and you have several drive modes to consider, ranging from eco to Sport+. The more dialed in you are, the further the transmission shift points are spread out. The steering adds weightiness and the suspension system takes things up a notch. No, you won’t ever consider the ES a corner carver, given its front-wheel-drive layout. What is especially noteworthy is that the V6 supplies excellent step-off acceleration and passing power. When you gun it, torque steer is essentially mitigated. Indeed, the suspension system supplies instant corrections to keep this sedan poised. Navigate the corners and you will experience a modest amount of roll. Clearly, this model is not a handling match for two other Lexus models — the IS and GS sedans — but it does remain otherwise composed. 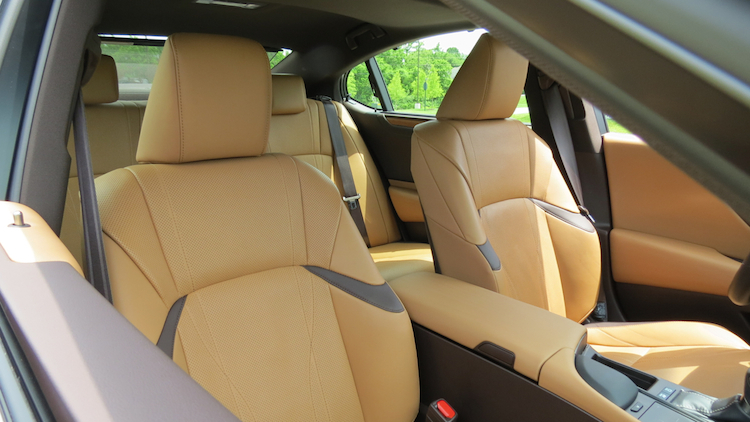 That said, you get the Lexus ride comfort and a quiet cabin to go with it. The ES’ cabin is spacious and well appointed. Beyond the 10 standard airbags, Lexus offers numerous safety features. All models come with Lexus Safety System+ 2.0, which includes a pre-collision system. 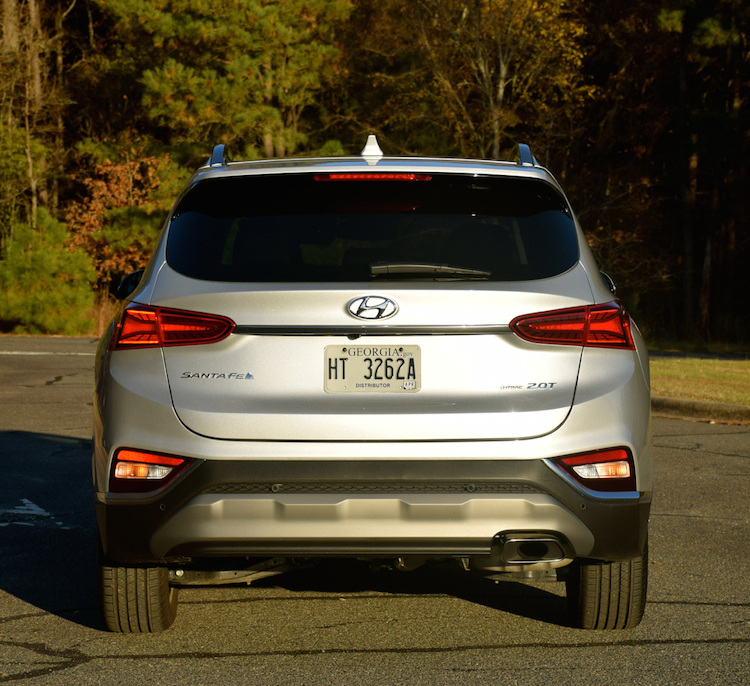 Further, you will also find dynamic radar cruise control with road sign assist, lane tracing assist, lane departure alert, automatic high beams, and park assist. A head-up display and a blind spot monitor are options. The included driver-assist package is one of the best in the industry. Typically, luxury marques charge extra for many of the offered features. 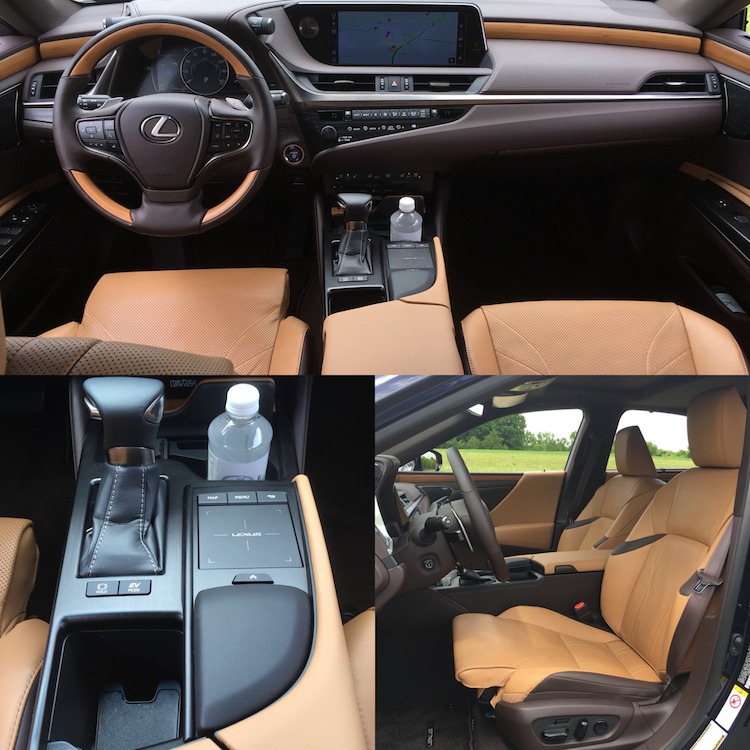 Among tech items, Lexus offers a 10-speaker audio system with a CD player (yes, you read that right), HD Radio, satellite radio, and Bluetooth. Further, every model comes with auxiliary audio input and three USB ports. 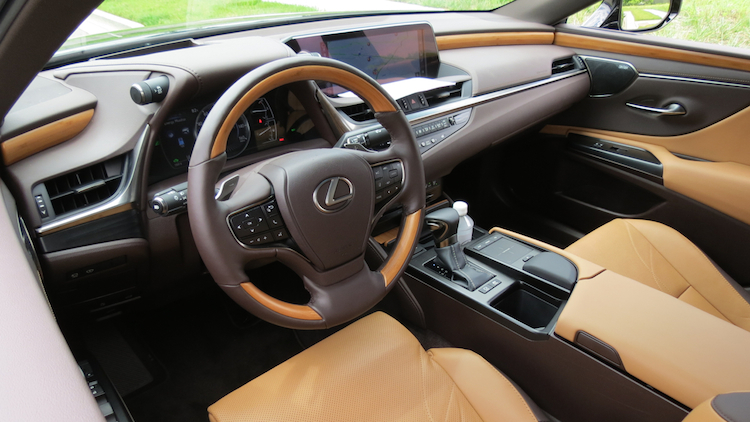 The Lexus multimedia system comes with an 8-inch color display. Scout GPS Link is standard, what supplies directions in lieu of the available navigation system. 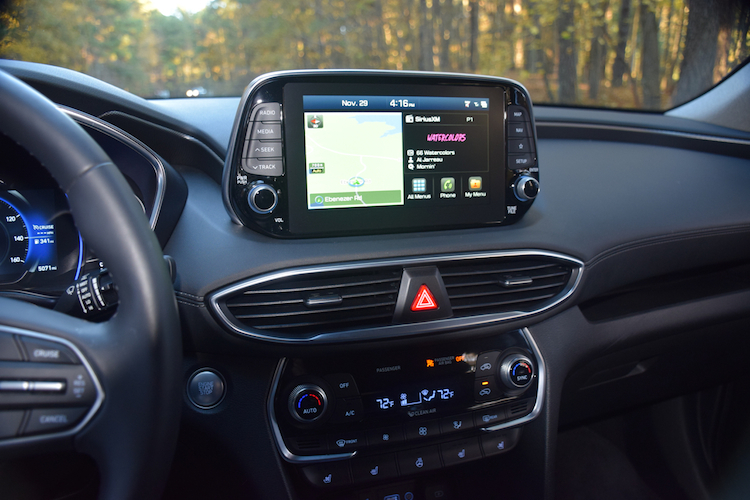 Other tech features include a Wi-Fi hotspot, Siri Eyes Free, Apple CarPlay, Google Voice Control and Amazon Alexa compatibility. The optional equipment list includes a Qi wireless charging pad and a 17-speaker Mark Levinson audio system. Each of our test models had the Levinson system, which delivers exceptional sound quality and clarity. 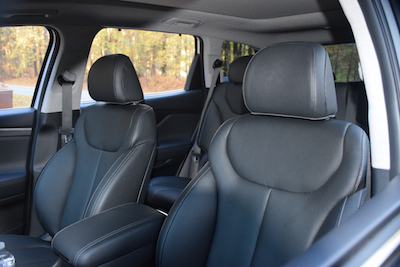 The two-part front seats offer more support and improved comfort than before. First drive experiences never tell the entire story, something journalists typically must glean from a week behind the wheel. Yet, my initial driving experience delivered glimpses of what this new Lexus can do. For current owners, the new ES builds on the previous generation’s success. It brings in more power, improved driving dynamics, enhanced driver-assist features and greater comfort. 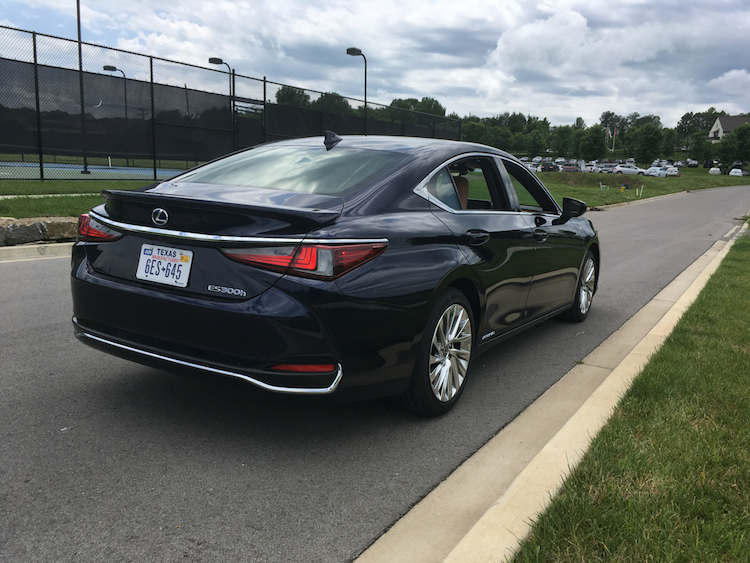 With its attractive price point and available upgrades, the 2019 Lexus ES also represents value in the luxury sphere. Lexus ES photos copyright Auto Trends Magazine. All rights reserved.